But before we get to that, here are my top 3 reasons to utilize a mortgage to your advantage when buying a home. 1. Who wants to part with their cash? No one. Why would you? If you can keep your cash in the bank and use the bank’s money to buy a home, why would you part with your cold hard cash? Or what if you don’t have the cash to buy a home? Who has $300,000 laying around? Interest rates are still hovering in the 4.0% range. Why wouldn’t you grab this money that’s practically free while you can get it? If you’re going to borrower money, the cheaper you can get it, the better. Check with your licensed CPA to make sure you can take advantage of this tax deduction. Your tax specialist should be able to let you know how much you can save by becoming a home owner with a mortgage. But seriously, why our World Would End if Mortgages Disappeared? Well, for each real estate transaction with a mortgage, it takes about 25 people to get the job done. From your licensed loan originator to the appraiser to your real estate agent and closing title company there are many people in the middle. Also, if people could not use the bank’s money and had to spend their cash to buy a house, the housing industry would slow to a crawl. Which means retail would also be affected. Such as the big box stores for home improvement and electronics. Our economy would be seriously crippled if mortgages disappeared. So, the next time you buy a house with a mortgage, feel great about helping the economy! And without further ado, here’s the excerpt interview with Gary Keller & Jay Papasan. As chairman of the board for Keller Williams Realty, Gary Keller helps provide strategic direction for the company at large. In addition to his leadership role with the company, Gary and his writing team have penned several national bestsellers: The Millionaire Real Estate Agent, The Millionaire Real Estate Investor, SHIFT: How Top Real Estate Agents Tackle Tough Times and The ONE Thing: The Surprisingly Simple Truth Behind Extraordinary Results. Jay Papasan, who after a successful publishing career in New York, co-authored the Millionaire Real Estate series with Gary Keller, collaborated on the best seller FLIP, and serves as Keller Williams VP of Publishing. Elysia: Please share two pieces of advice you have about mortgages. Jay Papasan: A mortgage is a serious responsibility and warrants very careful attention to what you can truly afford and what kind of mortgage can best help you reach your financial goals. However, a mortgage is a tremendous privilege. Imagine: if you couldn’t borrow the money to buy your home, you’d have to pay cash. If you thought coming up with a down payment was challenging, imagine what it would be like to save the whole purchase price! In general, you’ll probably discover that mortgage loans are less confusing than you might imagine. Actually, what appears as a vast array of loan choices in the mortgage market today are all just simple variations on a few major types. Elysia: Gary, what are your top three guiding principles for client service? Gary Keller: Win, win or no deal. Integrity: do the right thing. Customers always come first. When we talk about client service, the definition of a professional is someone who knows what they know and knows what they don’t know. When you are faced with a situation with a client and you’re not sure of the answer, it’s not about looking like a professional, it’s about being a professional. Just be honest, and say, “That’s a great question. I want to give you the best answer. Would it offend you if I got back to you later today/tomorrow with an answer? I work with an amazing team and I’d love to run my thoughts by them and make sure you’re getting the best possible information.” Understand your strengths and leveraging the team around you and in your brokerage to give your clients the best service. Elysia: Thank you Jay & Gary, I understand why you have raving fans and a successful growing international real estate company! Did you serve in the Military? Did your spouse serve in the Military? Thank you to our armed services who protect our country! I am grateful to each and every one of you who have served. 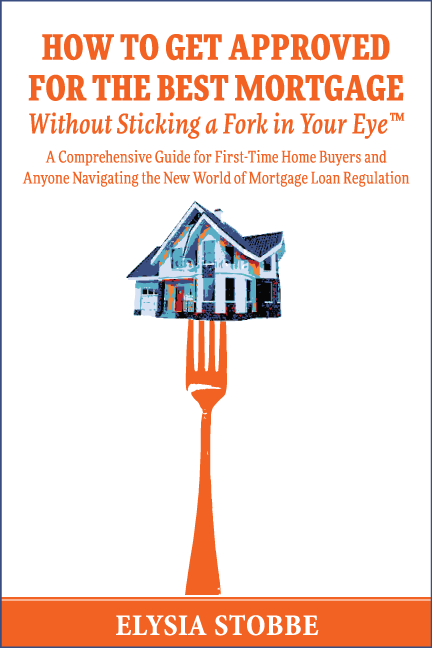 In honor of Memorial Day, here is a special excerpt from the VA Loan chapter in my book, How To Get Approved for the Best Mortgage without sticking a Fork In Your Eye™. This is a piece of a 30 minute interview with Michael J. Frueh & Mark Connors. Michael J. Frueh is the Director of Loan Guaranty Service, Veterans Benefits Administration, U.S. Department of Veterans Affairs. Mark Connors is Lender Liaison for loan policy and valuation loan guaranty services at the Loan Guaranty Service of the Veterans Benefits Administration at the U.S. Department of Veterans Affairs. Elysia: Hi, I’m Elysia Stobbe and I’m here at the Department of Veterans Affairs today interviewing two of their top brass with some great questions for VA homebuyers. If you could introduce yourselves please. Michael J. Frueh: Hi, I’m Mike Frueh. I’m the Director of the VA Loan Program here in D.C.
Mark Connors: Hi, I’m Mark Connors. I’m the Lender Liaison in D.C.
Elysia: Great! So, we put together a few questions we thought would be helpful for either first time users of their VA Home Loan benefits or anybody who’s actually used it before and maybe had questions and had any kind of challenges. The idea is to make it smoother for the veteran as they purchase a home. So, the first question I have is for Mark. What is something that lenders forget to tell people that are looking for VA loans or interested in using their VA loan benefits? Mark Connors: Well, actually I don’t know that I would say what they forget to tell the veteran, but rather what they forget to ask the veteran and just a simple, have you served? Or are you a veteran? Or do you know if you qualify for the VA home loan program? That is something that we would encourage everybody in the industry to ask the veterans, have you served? Do you know if you may be eligible for the home loan benefit? Because it doesn’t do the veteran any good to find out after they have purchased a home that they qualified for the home loan benefit. Elysia: So, you think there’s probably a portion out there that just by the loan origination process, and, when they’re doing the application, that the lenders aren’t asking those questions? 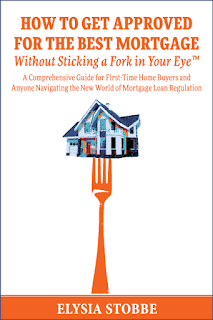 Mark Connors: Absolutely, yes, and again we encourage lenders or Realtors® that that’s the question that we would like to get across more than anything. Michael J. Frueh: I agree and there’re even veterans out there that have used the benefit in the past that have bought a home before that don’t know that they can use it again. So it’s not just a single-use program. There’re probably a lot of real estate agents out there, and lenders, that don’t know it’s available multiple times throughout a veteran’s life. That’s something that we’ve been trying to overcome with education. Letting people know that this is a comprehensive benefit that can help veterans at any stage in their life. It’s not a first time home buying program; it’s an anytime you want to buy a home buying program. Elysia: Do either of you have any inspirational stories about the VA and what it’s done to help Veterans? Michael J. Frueh: I have one that I always think about. The home loan benefit is actually three benefits. One, it helps veterans purchase a home: purchase a home that’s geared for their success, so that they’re not stretching too much to buy a home they can’t afford, they’re not putting too much money down in down payment so they have money in reserves. Two, we have a group of people that help veterans keep their homes if they have problems. Three, we help severely wounded veterans adapt their homes, so they can actually live independently in the home where they want to live, so they’re not forced to live in home hospital care or nursing care. The second benefit, retaining a home-- we have 150 people around the country that are there to help veterans when things happen. One veteran in particular in Arizona got cancer and he couldn’t go to work, so he couldn’t make his mortgage payment. He had a family. He talked to us, we said we know what’s going on, we’ll talk to your mortgage bank, don’t worry about your home, worry about getting well. So, we talked to his bank, the bank said, don’t worry while he’s going through treatment, we’ll defer his payments and we’ll work with him later to try to get caught up. He wrote a letter that I still have today, that said of all the stuff he was worried about, his cancer was the least of his worries. His biggest worry was that his wife and his children wouldn’t have a home to live in because he was going through this treatment. He said the amount of worry we took out of his life probably helped him overcome the cancer. He was a success story, got better, went back to work, reinstated his loan, and lived in his home. He said that the big worry we took out of his life totally transformed his attitude at the time. Elysia: That’s a great story. Michael J. Frueh: It made me feel good. Mark Connors: Mr. Frueh talked about three parts and the way he likes to say it is easy to remember, so our mission is to help veterans obtain, retain & adapt. Perhaps another inspirational story is the 20th million loan. Michael J. Frueh: We just hit our 21st million loan yesterday. Two years ago this October we hit our 20th million loan. Our 20th million loan didn’t go to a veteran or a service member; it went to a surviving spouse. The surviving spouse is a woman named Beth Carpenter who lives in Springfield, Virginia with her little boy. Her husband passed away while he was in service. So, she’s going through all the grief that people go through for losing a spouse and her son had just lost his father. Someone had told her here’s a benefit you have as a surviving spouse. You can still use your husband’s VA home loan benefit to buy a home without a down payment. By telling her that, it was her Realtor® I think that let her know, she actually looked for a home and found a home that she couldn’t have bought otherwise that she was able to buy without a down payment. Our Under Secretary, myself, and several other people went out to her house to celebrate when she had moved in to say we’re very happy we’re able to help her and her family get a house. But she was the 20th million, so there were 20 million others before her, including surviving spouses; and, again she wouldn’t have known about it if someone didn’t bring it up, and say “Oh your husband served, maybe you qualify for this benefit.” It’s even more reason to get the word out to ask that question. We are in the midst of Spring Home Buying season and there are quite a few positive indicators that it’s a good time to buy a home. There are many factors to consider before deciding if it’s a good time to buy a home, such as the economy, interest rates, supply & demand, the cost of renting vs. buying and your own personal situation. Interest rates are hovering around all time lows (again!) right now, so that’s one important factor to take into account when considering buying a home. What does this mean to you in real numbers? Well, let’s say you are considering purchasing a home with a sales price of $300,000. In a perfect world, you put down 20%, which is $60,000. That leaves you with a loan amount of $240,000. Don’t worry; there are many other loan programs available with much smaller down payments, such as 3% and 3.5%, which would be $9,000 and $10,500 respectively. If your interest rate is 4.0% for a 30 year fixed mortgage with a loan balance of $240,000, your monthly principal and interest payment would be $1145.80. Let’s say your interest rate is 5.0% for a 30 year fixed mortgage for the same $240,000 mortgage; your monthly principal and interest payment would be $1288.37. See the difference? That’s $142.57 a month you save on interest alone! Let’s look at it over the long haul…$1710.84 a year = $51,325.20 over the course of a 30 year loan! Now, of course there’s more than one way to look at this. That same $142.57 could also be a tax deduction for you. Be sure to check with your CPA for interest deductions. The $142.57 a month could also be the same amount as one of your student loans. Only you know what’s comfortable for you when it comes to a monthly payment and what makes sense. Keep in mind that you are also responsible for home owners insurance, property taxes and any monthly home owners or condo association fees in addition to the principal and interest on your loan. See what DS News has to say about buying a home now, "Analyst Says Buying a HomeNow Is a Solid Investment"
How long do you plan on staying in your area? I think your own personal situation is the most important thing to consider when buying a home. Do you like the area? How long do you think you’ll be there? How long do you think you’ll be at your job? I bought my first home about two years after I graduated from college. My Mom was so nervous for me, but I wasn’t scared at all. I knew I liked the area (dear old Baltimore, MD my heart goes out to you) and wanted to be there for a while. I had moved around quite a bit in my early years and was looking forward to growing roots in the Baltimore community. I ended up living in that house for eight years. I rented out my house for the last two years I owned it when I moved down the road to Arlington, VA before I sold it. It became my first rental property. Since then I have owned and rented homes as I moved around the East Coast. Whether I bought or rented depended on all the factors I am sharing with you here; the economy, interest rates, the cost of renting vs. buying and my own personal situation. CNN Money also says it’s a good time to buy, "Home Buyers In These Markets Have the Upper Hand"
What’s the cost of renting vs. buying? Does it cost more or less to rent than to buy? Any licensed loan originator as well as real estate agent should be able to help you with this calculation in your local area. Basically you take your total estimated monthly mortgage payment including property taxes, home owners insurance and any monthly home owners association or condo fees and compare it to the cost to rent something similar in location and size. To make it more complex, factor in your down payment and estimated closing costs spread over the time you think you will be in that location as well as any interest deduction your CPA thinks you would benefit from by owning. Other factors to consider are leverage and appreciation. For more help with this calculation feel free to contact me at bestmortgagebook@gmail.com. Julian Castro, the Director of Housing and Urban Development is positive about buying a home in 2015. Are Home Inspections a Good Idea? Turns out 20% of homeowners consider their home unhealthy according to Healthy Home Study conducted by Houzz. A home inspection might help you find out if your new home is healthy before you buy it. Home inspections are required on some loan types, but not all. However, it’s always a good idea to get a home inspection. If you’re buying a house that costs hundreds of thousands of dollars, why wouldn’t you spend $400-$500 on a home inspection? A home inspection is a detailed and thorough examination of the structure and mechanical systems of the property to determine quality, as well as soundness and safety. The purpose of a home inspection is to inform the potential homebuyer of any repairs that may be needed. The homebuyer generally pays home inspection fees. In addition to the basic home inspection, there are additional inspections that you may choose to have, such as a pest inspection or a 4-point inspection. Home inspections have come a long way— now they have thermal imaging, moisture detection equipment, and lots of other technical innovations to find hidden issues. Home inspections are not the same as a home appraisal. Home Inspections are not required for all loan types. I strongly suggest that you have a home inspection for your protection. Don’t you want to know what you’re getting yourself info? Whether it’s an “unhealthy” home or a $200 repair or a $15,000 new roof, you should have this information before your purchase the home. I think that $500 is money well spent on a home inspection. You might feel that you are so in love with a home you are prepared to deal with whatever needs to be done. You might be thinking “whatever” could be $5,500. What if it’s $55,000? Ouch! My lender requires an appraisal. Why do I need a Home Inspection too? The appraisal does NOT take the place of a home inspection. A home inspection is NOT an appraisal. The two are completely different. They are completed by different professionals with different credentials. An appraisal uses sales of like comparable properties to estimate the value of the home. It does not examine in detail the systems and components of the home. A home inspector will evaluate the roof, HVAC, plumbing, electrical, foundation, framing, insulation, ventilation, walls, ceilings, floors, step, stairways, railings, garage doors, and a representative amount of doors and windows. Not all home inspectors are created equal. Some will eyeball the roof from the ground, some will get up on a ladder and walk around to inspect the roof. Some will use infrared technology and camera scopes. Some include a mold screening, a moisture analysis, and, a sinkhole report. Some will charge extra for a WDO (wood destroying organisms) report, wind mitigation letter, and, a 4-point insurance letter. You want to know exactly what you’re getting for your money and exactly what reports are included. Do your research and ask lots of questions. Technology has come a long way, make sure your home inspector is up to date with the latest home inspection technology.